Fifty-two men were arrested on May 11, 2001, on Queen Boat, a gay nightclub on the Nile in Cairo, in one of the most publicized police raids against homosexuals in Egypt. Out of the accused, many of whom were tortured and raped while detained, 23 were convicted for debauchery and defaming Islam and sentenced to up to five years in prison with hard labour. To make matters worse, national media published their names, photographs and professions to publicly humiliate them, dubbing them “Cairo52”. 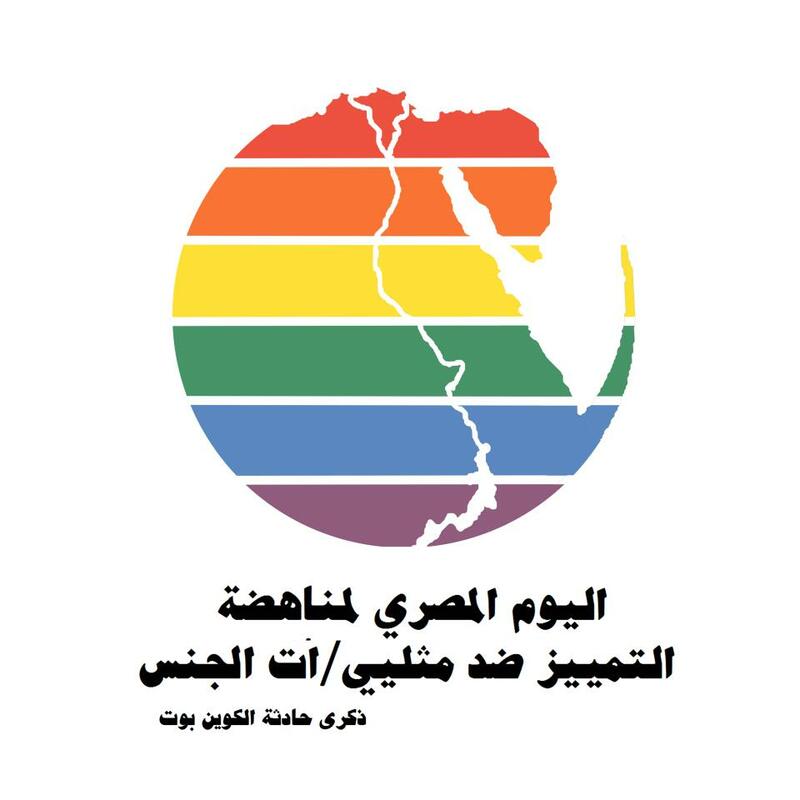 Twelve years later and in honor of the Queen Boat incident, gay rights activists in Egypt decided to mark May 11 as the “Egyptian Day Against Homophobia” (EDAHO), one week before the International Day Against Homophobia, which lies on May 17. During this week, activists have launched an online campaign urging their supporters all over the world to tweet and blog their solidarity for the gay community’s rights. “Cairo52 was no more than a gloomy beginning of a dark era that witnessed different forms of oppression and discrimination against LGBTIQ individuals in Egypt,” EDAHO posted on its Facebook page. “LGBTIQ” is an abbreviation that is used to describe the lesbian, gay, bisexual, transgender, intersexed and questioning community. “It’s time to end the fear that prevents young and new generations of the Egyptian LGBITQ community from coming out even to their own selves,” the organizers added in the post. Assem Al-Tawdi, who was on Queen Boat that day, was one of the few lucky ones who were able to flee the scene unharmed. Fearing that his identity would be revealed, he was eligible to seek asylum because of his sexual orientation and moved to the United States. “Right now, the majority of people in the Arab world are not willing to tolerate our existence, and that has to change. That is what I am trying to do,” he said. Two years ago, Al-Tawdi created “Arabs4tolerance”, a website aimed to educate people and create awareness about the LGBT community in the Arab world and change false misconceptions. He said he has been contacted by LGBT Arabs from all around the world who are struggling to “come out of the closet” out of fear and shame. “There is definitely a ‘silent’ revolution going on. LGBT Arabs across the Arab World and beyond are connecting with each other,” he said, adding that he wishes to help create a world where homosexuals aren’t forced to leave their homes and their countries out of fear or shame. For years, the Egyptian government has refused to acknowledge the existence of homosexuality in Egypt, and local human rights organizations and activists have avoided granting any public support to the LGBT community or their rights, out of fear of governmental and public backlash. Similarly, the EOHR (Egyptian Organization for Human Rights) refused to defend gay rights in Egypt for religious and cultural reasons. Constitutionally, there are no laws criminalizing homosexuality. However, offences such as ‘violating the teachings of religion’ and ‘moral depravity’ have been commonly used to arrest, prosecute and imprison people suspected of engaging in homosexual acts. Because of the lack of public support, gay activism is largely restricted to the online world, communicating through forums and online chat rooms. The first Egyptian pro-gay website is GayEgypt.com, which provides a platform for discussions on Islam and homosexuality in Egypt. It wasn’t long before the government began its crackdown on the Internet. Gay websites were shut down and their owners were prosecuted. The police would pose as gay men in online chat rooms and arrange meetings, only to arrest the men who showed up. In 2004, a 17-year-old student was sentenced to 17 years in prison for creating a personal profile on a gay dating website. According to the Egyptian Initiative for Personal Rights (EIPR), homophobia has increased since the 2011 uprising, and the election of Muslim Brotherhood President Mohamed Mursi and an Islamist-run government have also increased fears among Egypt’s gay community that anti-gay legislation could be on the horizon. Adam Dott, a young Egyptian graphic designer who came out to his family five years ago, believes EDAHO’s campaign is necessary to begin creating an atmosphere of tolerance, and that the Queen Boat incident marks a significant moment for Egypt’s gay community. Despite the post-revolution Islamist-dominated government and ongoing social prejudice against homosexuals, Dott believes that the only way to combat homophobia and social stigma is through dialogue and creating awareness. Dott believes that neither the gay community nor human rights organizations are ready to face the potential public backlash, but that the campaign is a step towards discourse on taboo issues in Egypt. Al-Tawdi also understands the risk of the campaign and the long struggle ahead of the LGBT community in Egypt. Posted on May 15, 2013, in North Africa and tagged Egypt, LGBT. Bookmark the permalink. 2 Comments.